In this case I fear, we’ve all been duped. First in Long Beach and what could very well be Los Angeles if the Metro Board votes the way that its staff is recommending it votes. This past March, I wrote a diatribe pleading for Long Beach Transit (LBT) to procure more electric buses–and they did. This, in and of itself, was a good thing. I was happy, content, even ecstatic that 10 buses–lacking the false green advertising so egregiously brought forth by CNG advocates–would be winding their way through the streets of Long Beach. After all, the possibilities of electric buses are unquestionably revolutionary (and I don’t use that term lightly) because of the broader implications involved. Current public transit perceptions mostly run along the pejorative gamut: they are loud, they are dirty, and they are–this being the worst perception of all, particularly in California–for poor people only. The first two are actually correct: they ARE loud and they DO pollute–so why would anyone in a quiet, middle- to upper-class neighborhood ever want them putting around their homes? Electric buses alter that perception: they run at a noise level of office conversation, they are (truly) zero emissions, and they hold the capability of being in places that were previously impossible (those aforementioned middle- and upper-class neighborhoods), thereby altering the general conception of what public transit can be. So far, so good. It makes sense as to why LBT went electric. But why was this endeavor–along with what could be the same for Metro–so… Anti-American? Both of the transit companies’ staff support China-based company BYD rather than South Carolina-based Proterra (with the LBT Board eventually taking their staff’s recommendation while Metro still awaits the vote). Even beyond their geographic locations, many other egregious differences come to light between the two bus makers–and I’ll get to those in a bit. I am not one to wave patriotism blindly, but I am one who strongly believes that–particularly given our staggering economy and the world’s overall disinvestment in American technology–investment in progressing American innovation is key, particularly when it comes to sustainable and renewable energy. One of the best examples is the glaring difference between Germany and the U.S. The former–whose economy between 1998 and 2008 went from a deficit of $5.9 billion to a surplus of $267.1 billion compared to the U.S. deficit of $568.8 billion in 2008–has become arguably the world’s leader in green energies. The Energiewende (roughly translated as the Energy Transformation) revolves around nixing nuclear capability, replacing it with renewable energy and making sure those energies account for 80% of Germany’s energy by 2050, cutting greenhouse-gas emissions by 40% come 2020 and 80% (yes, 80%) by 2050, and getting consumption to drop 20% by 2020 and 50% by 2050. They’ve created a so-called “prosumer” model that provides individual ownership–over 50%–of Germany’s renewable energy capacity, leaving the four giant energy companies to own a meager 6.5%. In other words, Germany is investing in ITSELF when it comes to sustainable and renewable energies (and, oh the irony, outsiders are investing in it as well). And here we have two RFPs, both from Southern Californian transit companies requesting more electric buses. Two bus companies make it to the top in each bid: on one hand, we have Proterra, a rather new bus company–80% buy America–that is renovating electric bus technology. They are the only company in the world that produces an all-eletric Altoona-tested bus (Altoona is the federal testing ground where our government sanctions or dismisses a public transit vehicle as safe and sound). They also happen to manufacture the world’s first full-size, 10-minute charge bus (meaning theoretically, depending upon route, 24/7 public transportation becomes possible, something L.A. has been rumored to be discussing). It vied for the LBT electric bus RFP and lost to BYD, the China-based company that sits on the other hand. This company is now facing Proterra once again and, also once again, is receiving the blessing of a transit company’s staff. There is a blunt, succinct question that needs to be asked again: Why, given BYD is filled with a multitude of problems? 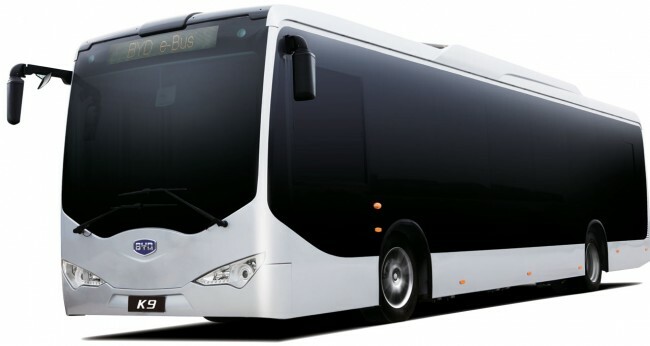 During a LBT Board meeting back in March of this year, before the Board had officially voted, it was noted that BYD had outright fabricated the fact that it had deployed buses within the U.S. and Europe, particularly to Apple in Cupertino, Hertz in Los Angeles, as well as Madrid and Holland. Ryan Poppel, an investment partner with Kleiner Perkins Caufield & Byers was adamant in not only his support of Proterra at the meeting, but brought forth scathing accusations regarding the statistics BYD used in order to gain traction on the contract. Years following its announcement of building headquarters in Los Angeles and Canada, both have ultimately failed to appear. The Long Beach Post reported that test trial performance analyses of their buses were fabricated extensively. To add icing to the cake: three people were incinerated to death after one of BYD’s electric vehicle caught on fire in Shenzen. So as I previously stated, the postponement of Metro’s vote left me with mixed feelings. On the one hand, it was reminiscent of LBT’s postponement that proved ultimately unnecessary given that–despite overwhelming evidence that BYD lied about its American involvement, stats, and efficiency–they went with BYD anyways. On the other hand, I am hopeful that perhaps Metro will understand that this is not a case of an-electric-bus-is-an-electric-bus. There are ethics and, just as importantly, there are costs beyond the given dollar sign. The Metro Board has rescheduled the vote for June 27. BYD is opening a factory in Southern California, bringing jobs to the region. Proterra would remain in South Carolina, bringing no economic benefit to Southern California. BYD under bid Proterra, Long Beach taxpayers benefit from such a bidding process. BYD electric buses will be built 80% in Southern California, with ancillary businesses receiving sub-contracting work. Proterra is beholden to a very Tea Party/Republican government in South Carolina. Which recently brought back the controversial Mark Sanford into politics. BYD’s factory will adhere to California’s strict environmental rules and regulations. Whereas Proterra exists in a regulation-weak South Carolina. Proterra benefits South Carolina and their political machine. BYD will employ Californians. It is a no brainer. BYD is also 50% AMERICAN OWNED. Warren Buffet owns half of all the stock of BYD, so it is not a Chinese company only. Yes it started in China but has expanded worldwide and these Metro buses just like the Long Beach ones will be Altoona tested, and built in the USA by American workers. They will be giving jobs to people here in LA County. LBT and LA Metro should be commended for this. And the bit about the car fire in China is dumb. Every automaker has vehicle fires and sadly sometimes people die in those fires. Should we not bye a Ford or Chevy for the same reason?? What I don’t get that people seem to be BLIND to is that electric is not 100% clean, unless you are generating the current from your own peddling power, or you know where the current to charge batteries is coming from… hello, burning coal to generate electricity or hydro, which is probably worst, as it impacts the areas eco systems. Don’t even get me started on batteries. Electric is bad bad bad… pile all this other political stuff on top of it, just makes it worst. Even when electricity comes from dirty sources, as those sources are replaced the vehicle energy is cleaned up, the same cannot be said about diesel or natural gas buses. I swear, if you people dont put the right information in a article, im going to snap.Theres nothing wrong with buying from BYD.They have a registered factory less that 70 miles from LBT and LACMTA. Proterra is across the country and the bid was proven to be more expensive than BYD. It’s really a easy decision to go with BYD because these jobs will go straight to Southern California residents. It’s not like they will be built by the chinese and shipped out here. Before you write a article saying BYD is a bad choice, get your facts straights first. We wouldn’t have allowed him to baselessly slander a company, and I highly doubt Brian would be willing to do that. He based his opinion that BYD is over-promising in Lancaster based on over-promises in LA. You can disagree, with his conclusions (it is an opinion piece), but there’s nothing factually wrong with the piece that I see. I always appreciate reading and feedback, be it praise or criticism; in your case, the latter. Firstly, LBT’s contract was funded by a TIGGER grant, which has a buy-America clause. Rolando Cruz, executive director and vice president at LBT’s Maintenance and Facilities division, pointed out in March that BYD was slated to begin operating here in the States in 2014—an ultimately confusing statement given that Cruz earlier in his presentation emphasized that LBT would like the entire project completed by June, 2014. Essentially, BYD would manufacture and deliver the buses from China, but skip the American-company-only clause by finally operating in the States by the time the project was complete. To me, this is both unethical and raises eyebrows. Secondly, and as emphasized by Damien below, BYD has promised two other locations manufacturing facilities (L.A. and Canada, as linked in the article) and have ultimately failed (not to mention their lack of Altoona testing, which given the length it takes to complete, makes manufacturing that amount of buses punctually almost impossible). To me, saving money is not the only issue in making this decision. Actually, the buses for Long Beach will _not_ be built in SoCal. LBT’s contract was funded by a TIGGER grant, which has a buy-America clause. Rolando Cruz, executive director and vice president at LBT’s Maintenance and Facilities division, pointed out in March that BYD was slated to begin operating here in the States in 2014—an ultimately confusing statement given that Cruz earlier in his presentation emphasized that LBT would like the entire project completed by June, 2014. Essentially, BYD would manufacture and deliver the buses from China, but skip the American-company-only clause by finally operating in the States by the time the project was complete. Secondly, given that they have yet to complete Altoona testing (the BYD bus that is still awaiting testing is not the same bus that will hit the street, not to mention it took nine months for Proterra to complete their own testing), makes it simply impossible to have buses completed by June of next year and made in America. If we’re going to state that BYD is an American company because they have a factory here should we also start referring to Apple as a Chinese company because most of its assembly lines are overseas? Both Long Beach and Los Angeles need to embrace the movement of bringing jobs back home, much like global powerhouse Starbucks and other top companies have. Why? For one, they’re starting to realize the costs they save in lower wages paid to Chinese workers is made up in shipping the product back across the Pacific. But more importantly, how are we ever supposed to get out of this recession if we keep outsourcing innovation and giving foreign companies first chomp at the bit just to save a few dollars here and there? American made was once a sense of pride. I think it still can be if we start giving American companies opportunities to prove themselves once again. Fred Flinstone’s car would have been a better candidate to win the bid. The price MUST have been right. But what’s new in America? This is a great article and thanks for making me aware of this. I am pissed. We would never be allowed these privileges in China. As a tax payer and a rider of the transit system, I am appalled. Why are we electing people that will allow this to happen with tax payer’s money? These decision makers are maroons. Where is their sense of pride in our country and our people and our technology. I will NOT be riding a Chinese bus, but then again, I doubt it will ever pass our standards. This article reads like it was ghost written by Proterra PR department. If Streetblog wants to publish this kind of slanted opinion piece, it should reach out to BYD for a response. While the idea of electric buses is fantastic (and I support American made buses), where exactly is the energy for the electricity to come from? Right now LADWP derives 44 percent of its power from coal. This is a very good opinion piece. It is no surprise that BYD is making misleading statements. Their main cheerleader, the Mayor of Lancaster, is notorious for making up statistics to help promote projects. It is no surprise that the two found common cause. When reporters for Streetsblog have strong opinions on something they cover, we encourage them to write an op/ed for a couple of reasons. 1) Op/Eds are better for debate 2) It actually gives readers a better idea of what is going on in our heads. This Foothill Transit board report has a good overview of the market for electric buses in the United States – http://file.lacounty.gov/bos/supdocs/76269.pdf – in addition to Proterra and BYD Nova and New Flyer, two actual bus manufacturers, have electric buses that will come to market soon. Honestly, the Foothill approach of starting small and then ramping is better than a 30 bus order, or 15% of your fleet, right off the bat. Proterra, seems to be flawed reasoning by anyone…. open 9:30 – 5:00 PM daily. Damien Newton, please email brendan.riley@byd.com. want to check your facts and open your minds. Thank you Irwin, We think so too. Brian, I would advise that you check your facts with Rolando again. He is local, pick up the phone and check what you understand he said. Javone is correct. BYD has investigated manufacturing in a number of locations– not sure where you get your missinformation on “promises”. You can easily speak with BYD about their plans. No Brian, once again your readers are more informed than you are. BYD is 50% owned by US investors, MEH (B&H) only owns 9.8%. Ernst and Young audit BYD Company LTD annually as they are a publically traded company 1211.HKE, 0285.HKE, and on the Shenzhen exchange. Reason is an advocacy group with known agenda and funding sources so they don’t need to be treated the same as BYD. And more to the point, when you criticize Reason (or anyone else for that matter), you are not implying that there are law breaking. There are some pretty serious allegations of wrong doing in this op ed. This is not a criticism of BYD’s product or business practice. You are allowing Brian to use Streetblog to indict BYD and pass verdict based on his opinion. If this op ed was about buying buses from American company, then sure, it is just his opinion. But Brian cross the line when he start writing things that were quoted by a Proterra investor as facts. I’m not related to BYD or Proterra. I have read Streetblog LA for a long time and will probably continue to do so but this op ed really was “out there”. I’m not sure why Streetblog would want to insert itself into PR wars between these two companies. Your are correct, you will not be riding in a Chinese bus. You wil ride on a bus built here in LA County, from BYD’s factory in Lancaster. Built by American workers, paying taxes in LA County and building the economy back up. It is a great PR piece for Proterra but not a really good article with all the facts. We actually spoke with Rolando Cruz on our tour of the LBT yard on March 29, he in fact stated the BYD buses WILL be built in the Lancaster BYD facility and be Buy American compliant. In fact the contract that BYD and Long Beach Transit signed has a $14 million performance bond that guarantees the buses will be Buy American compliant, fully Altoona tested and passed and delivered by June 2014 to LBT. If not LBT gets the money back and is free to re-bid the purchase. BYD is not going to screw up the LBT order. That order opens the door for BYD into the US market, if they screw it up what transit agency will buy buses from them. Same with the Metro order. The fact that both LBT and LA Metro chose BYD over all the bids they received tells me that BYD is the better bus for the money. The fact that it will be built right here in LA County and add to the local economy is a bonus. I don’t have a dog in this fight, except that I would prefer whoever makes the electric buses to manufacture them in Southern California. We need the jobs. I understand this is an OP-Ed piece and not necessarily objective. Though I wonder why no one has written stories about AnsaldoBreda, the Italian company that makes the heavy rail trains used on the Metro Red Line. The company had promised to manufacture those trains in Southern California back in the 1990’s. To date the trains are still built in Italy and shipped to LA. Good for the Italians, bad for us. I hope that Los Angeles doesn’t make that mistake again. If BYD eventually operates a manufacturing plant in Lancaster, then LA should seriously consider their electric buses. I would hate the city to buy them from a manufacturer in another state or another country. Metro should just buy standard diesel buses. They have no funds to buy new buses anyway. BYD’s North American headquarters is Los Angeles, and the buses they are building for LBT are being built at their facility in Lancaster. Their suppliers are also from North America. Don’t get confused, their buses are a lot less “Chinese” than you might think. My point is the average person does not know where the electricity comes from when they flip the switch to their desk light let alone a bus that gets plugged in somewhere. When there are rolling brown-outs and the like, power gets re-routed and many times “bought” from dirty places. My comment about hydro is that present and future generations are still having to deal with the fallout of those displaced by non-natual dams, for example. Look up the Pima people and the Coolidge Dam. That being said, I’m glad for the information. Being aware of this sort of thing is half the battle. Changing how people think of what’s more important and making choices based on that is the rest. For now, I will continue to ride my bike as much as possible and hope that others consider and commit to do it more. One point you all need to look at is that BYD promises things and does not come through. They promised if the city of Los Angeles would give them millions of dollars to build their fancy headquarters downtown, that BYD would hire 100s of people. They have hired ONE.l All the people working in that building, about 10 of them, come from China on short term visas and are paid a Chinese salary — about $8,000 a year. They are put in cheap group homes in bad areas and given a small allowance for food. They are basically slaves in our own city. All at the hands of BYD. Why believe anything they say. BYD had to send its bus home from Altoona testing last month because of cracks in the structure. These buses are NOT ENGINEERED properly. They won’t last and they are dangerous. Also, I have heard from a BYD employee that in the Lancaster factory there are over 100% more Chinese employees working that US employees. So much for US jobs. No BYD shill, once again those you are responding to have better reading comprehension than you do. Shaun Foy said “Warren Buffet owns half of all the stock of BYD” — which Brian refuted by saying that Warren Buffet only owns 10% — which you then CONFIRMED by saying that B&H owns 9,8%. He didn’t say Shaun didn’t say “Americans own 50%”, he said Wareen Buffet — Brian didn’t say “Americans only own 10%,” he said Warren Buffet only owns 10%. Solar. You have plenty in California. The new ford pinto anyone?